The Fiesta Rancho Casino and Hotel is a party-style destination with a taste of old Mexico in North Las Vegas, just four miles from Downtown and six miles from both the Las Vegas Strip and Las Vegas Motor Speedway. The resort's newly renovated five-story hotel tower has 100 rooms and suites. Guests enjoy access to an outdoor swimming pool. If that isn't your sport, join the flocks of locals who enjoy the frozen pond inside the Fiesta Rancho's new expansion. The NHL-size ice arena, with pro shop and locker room, is another great way to chill out in the desert. 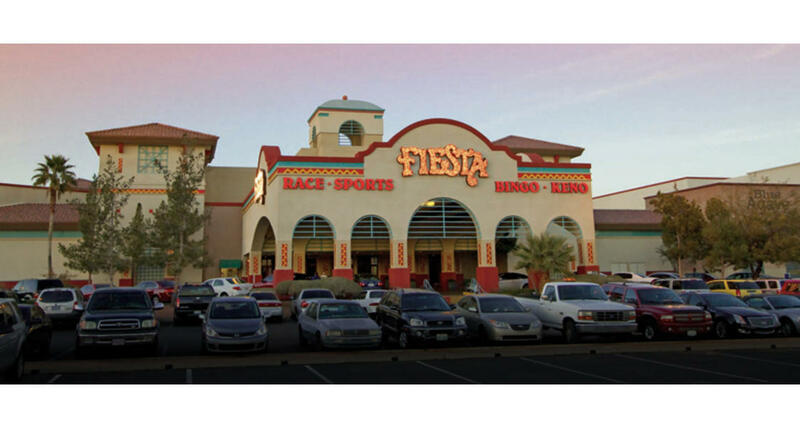 Locals also love the climate of the Fiesta Rancho's casino, which has more than 1,000 slot and video poker machines, plus 13 table games, a sports book, and bingo and keno areas. Each weekend come and enjoy a variety of live performers in the Cabo lounge. The Festival Buffet has it all, with six "live action" cooking stations and everything else you can imagine. Culichi Town has Japanese and Mexican specialties using culinary techniques from Sinaloa, Mexico. Try the sushi with a Mexican twist!